Romillo Essential No 9 Fountain Pen First Look! My Romillo Essential No. 9 has finally arrived. While I take some time to get to know the pen I thought I would share some pictures and some first impressions. 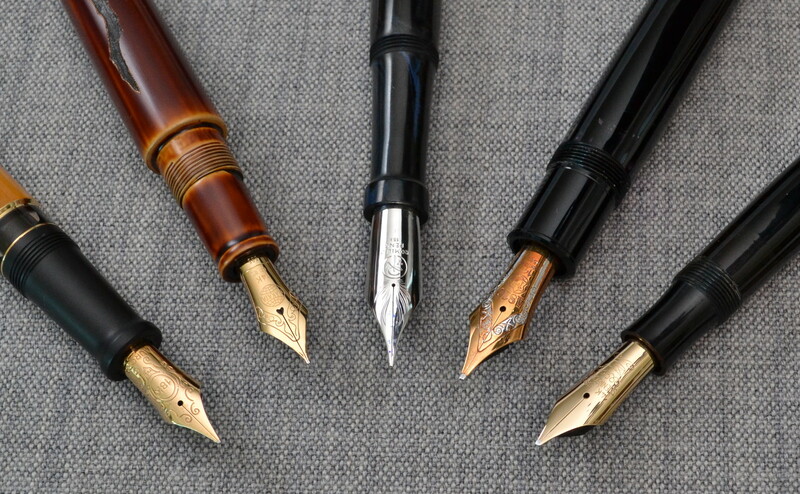 Since this pen has the biggest nib I have ever used I put it up next to some other big nib fountain pens for comparison. This italic 0.7mm nib feels like no other nib I have ever used. It’s very soft and produces nice line variation without feeling sharp; this is a bit weird because there definitely is a sweet spot and it’s not small but without the normal feedback it isn’t as easy to find. The pen is very comfortable in hand, and is not overly fat like a 149. The threading that attaches the barrel to the section is all brass and as a result the pen is nose heavy. The Essential has a very long section which is a feature that I love but seldom see. The threading on the cap isn’t very smooth and I worry about twisting the cap too far. 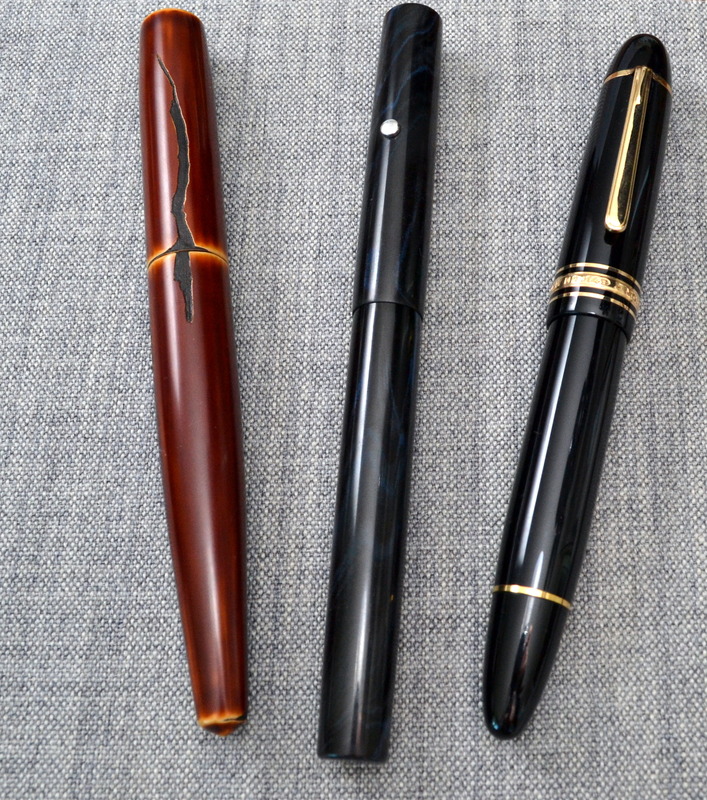 The shape of the pen is beautiful but subtle in its design. The ebonite body is nicely polished and feels warm to the touch. I requested to have the nib coated with rhodium and I had them add a rhodium coated solid silver lentil/roll stopper added. Warrant information, certificate with all the pens information, and two nib test pages. 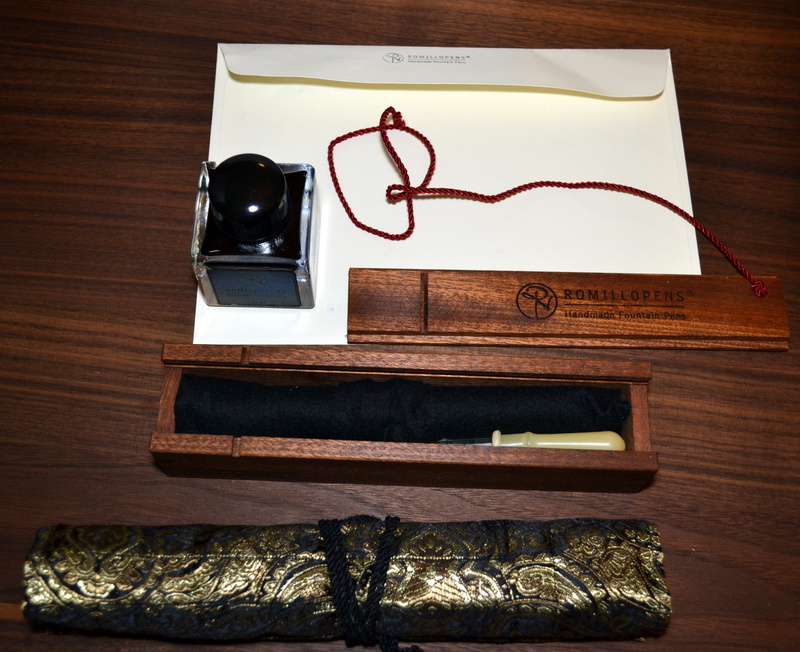 A beautiful wood box containing the pen, eye dropper and instructions, as well as a bottle of ink (which leaked a bit), and a nice pen wrap. 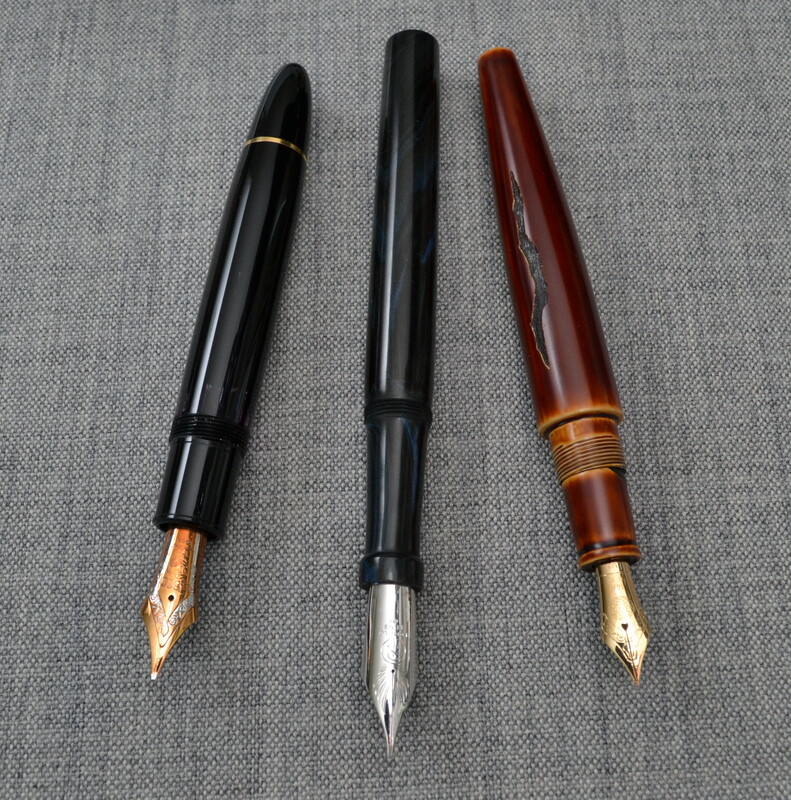 So far I am loving the pen…I will give a full review once I have more time with it. Nicely done! I love the purity and simplicity of its aesthetic. 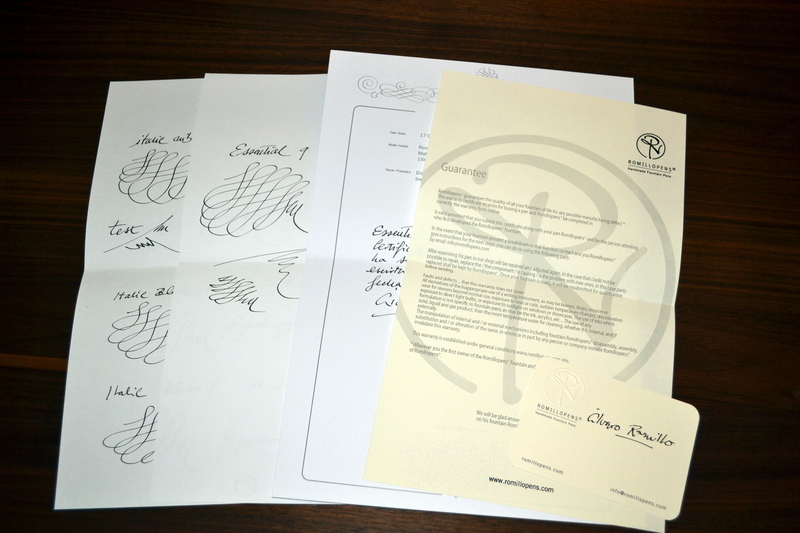 If the writing samples are any indication of what’s in store, you are in for a treat! Enjoy it in good health and peace! Thank you for the kind comment! It is a beautifully simple pen. Thank you Penny! Believe it or not that was a complete accident…I did notice upon reviewing the pictures that is was in the shape of an R.